…it might look like this. 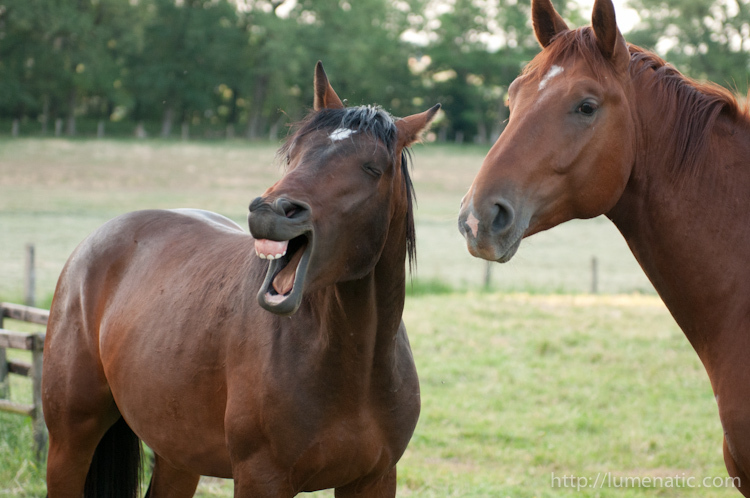 There is a German saying which goes “Ich habe schon Pferde vor der Apotheke kotzen gesehen”, which translates roughly to “I have seen horses throw up in front of the pharmacy”. It is a weird saying expressing that even the most unexpected thing might happen, everything is possible even if things look very clear and determined (The saying is so weird because horses can’t throw up. Their anatomy does not allow it). 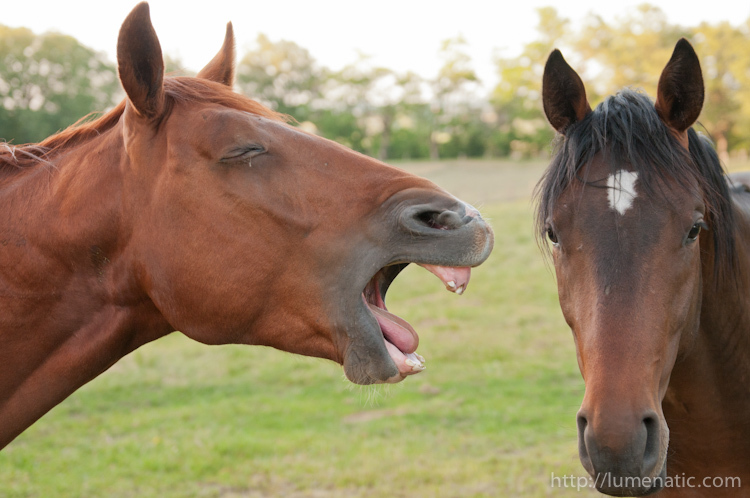 This one looks like enraged yelling at his buddy, who does not give a sh*t.
Being told a very funny joke, the buddy not getting the punch line. The pictures illustrate that with photography you can capture these very elusive moments in which something funny or important or very expressionate is happening. When observing it with your eyes you might miss it, because the moment is so short. But a photo freezes the moment and creates something new, perhaps even something which does not really exist. See above. There is sickness, rage, laughter. 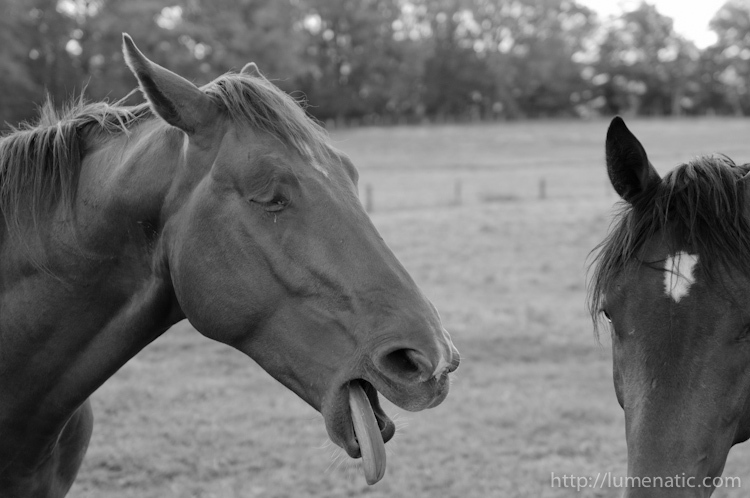 And all the horse was doing is taking a yawn which came from the heart.